The natural path to wellness has been gaining steam in recent years. 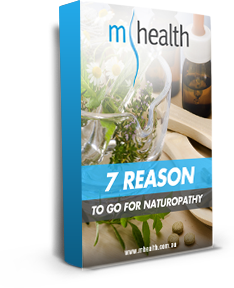 With the desire to live happier for longer, many are rushing to discover the secrets of naturopathy. But the secret is this: there is no secret. Find out now. Are you tired of ‘Social Media Influencers’ telling you what to eat or drink or how to live to be a certain shape? Over the fad diets? Or, maybe your concern is more specific such as how to eat for pregnancy or how to reduce your cholesterol levels. Our highly trained Clinical Nutritionist will be straight up with you to personalise your needs to achieve your goals in the most effective way for your lifestyle. This may include using food as medicine, nutritional supplementation, diet analysis software, body composition analysis and/or lifestyle advice. At mhealth our Clinical Nutritionist is highly accredited and holds a Bachelor of Health Science in Nutritional Medicine. Our Clinical Nutritionist is trained to use the most up to date evidence-based research to assist in helping you achieve your wellness goals. What does a clinical nutritionist treat? Why choose a Clinical Nutritionist?